REAL Movement leader Ilgar Mammadov has been physically assaulted in Prison #2, where he is serving his sentence, reported his lawyer Javad Javadov after meeting with his client on 19 October. Mammadov told his lawyer that after meeting with his other lawyer Fuad Agayev on 16 October, he was called to the administrative building, where the offices of the prison management located. He received blows to the chest and the head, delivered by Deputy Chief Shakir and a prison employee named Chingiz. “Then, they pushed Ilgar Mammadov towards the prison chief’s room, where they threw him on the floor and kicked him. Ilgar said that his assailants told him that he was being punished for passing on information to the media regarding the pressure against his cellmate Rinat Yusifov for defending him and his placement in a solitary confinement. The prison chief threatened to kill Ilgar, warning him, “next time you leave this room you won’t be alive.” I could see his injuries; there was a bruise on his neck, and swelling on his head […] He said he had a severe headache,” said Javadov. 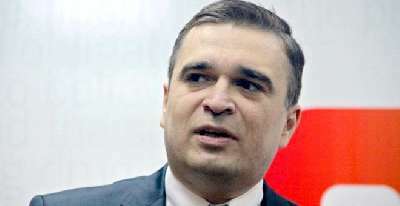 The lawyer stated that he has sent appeals to the Justice Minister Fikret Mammadov, Prosecutor General Zakir Garalov and Ombudswoman Elmira Suleymanova regarding the matter, and has requested an investigation of this incident as well as the violation of Mammadov’s right to make phone calls and to personal safety. Background: Ilgar Mammadov was arrested on February 2013. The Shaki Grave Crimes Court sentenced him to 7 years in jail in connection with the Ismayilli riots of 23-24 January 2013. His sentence was later upheld by Shaki Court of Appeal. The European Court of Human Rights has ruled Mammadov’s arrest illegal, and Amnesty International has recognised Ilgar Mammadov as a prisoner of conscience.